Labor dispute usually involves a demand to improve conditions of employment. In the event of labor dispute between employers and employees, the resolution and procedures for labor negotiations is handled by the Department of Labor Protection and Welfare and the Labor Relations Committee. When labor dispute arises, the Plaintiff will file the complaint at the Thai labor court within the territorial jurisdiction of which the cause of action arose (this is the place of work of the employees), or of which the plaintiff or the defendant has domicile. Once the labor court accepted the case for adjudication (pronouncing final judgement in a legal proceeding based on the evidence presented), it shall fix the date and time for hearing without delay and summon the defendant to appear in court by the time fixed therein. The summons shall set forth the particulars of the charge and the relief sought. The labor court shall also order the plaintiff to appear in court on such date and time. The defendant may file a written answer prior to his appearance on the date and time fixed by the labor court. When the plaintiff and defendant appear in court, the Thai labor court shall mediate the parties to reach an agreement or a compromise. Settlement involves mutual negotiation between the employer and employee through their duly authorized representatives. If no settlement is reached, the Conciliation Officer will mediate the dispute. 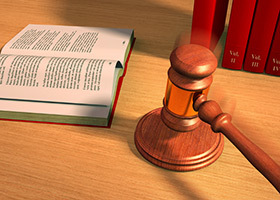 If mediation fails, both parties will refer the dispute to arbitration. If the labor dispute is concerning the services affecting the general public, the dispute will be referred to Labor Relations Committee. An appeal can be filed to the Minister of Interior within 7 days of the receipt of the decision. The Minister will issue a decision on such appeal and notify both parties within ten days of receipt of the appeal. If no appeal has been made within 7 days, Labor Relations Committee decision is final. If the parties are unable to reach an agreement or a compromise, the labor court shall proceed with the trial. Labor litigation in Thailand will start on the trial phase. The labor court will consider the following factors: working condition, cost of living, employee’s hardship, level of wages, rights of the employee, benefits of the employee, status of the employer’s business, economic and social condition. This will provide necessary evidence for the labor court, and fairness to both parties. If the plaintiff fails to appear without notifying the labor court of the reason of his non-appearance, it shall be deemed that the plaintiff has no intention to proceed with the case. The labor court shall then issue an order striking the case out of the case list. If the defendant on whom the summons has been served but does not appear without notifying the court of the reason for his non-appearance, the labor court shall issue an order declaring the defendant to be in default and then try the case ex parte. When all the necessary evidence has been produced in labor court, the trial shall be closed. However, the parties may close their case by oral argument on the day the trial is over. The labor court shall then pronounce the judgment or order within three days from such date. The associate judge who has already signed in the judgment or order may not present at the time of pronouncing the said judgment or order. The judgment or order of the labor court shall be made in writing and shall state or specify the facts as found in brief and the decision on the issues along with the grounds for such decision. The labor court shall send a copy of the judgment or order to the Thai Department of Labor without delay.